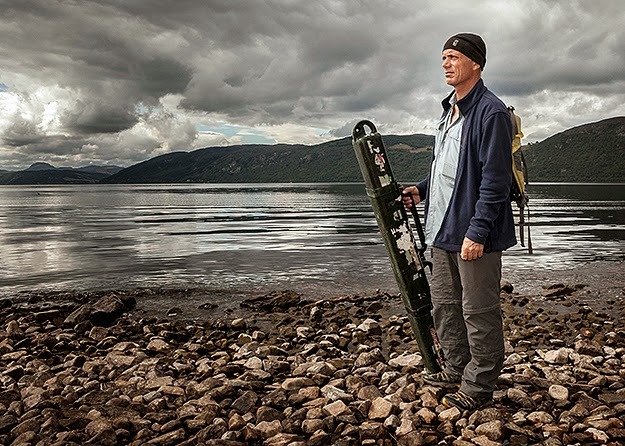 Though I suspect most readers have seen Jeremy Wade's "Legend of Loch Ness", the two episode special may be viewed by British viewers for a limited time at ITV's online catch up website. The obvious spoilers will now ensue. The first episode focused on Loch Ness as Wade attempted to form a picture of what he was looking for by pouring over old reports, speaking to contemporary witnesses (Val Moffat's account from 1990, reproduced below by the show) and local expert, Adrian Shine. However, the analysis began to take a turn in a certain direction as Jeremy discarded all long necked sightings as irrelevant to the investigation. Now I have spoken in the past about cherry picking the data to suit one's theory. Admittedly, the sightings database is not a perfect representation of the mystery. It includes unrevealed hoaxes and misidentifications; but it also contains real experiences by people of an object unclassified and unknown. Add to that mix, inaccurate descriptions of the creature (as opposed to misidentified birds, waves, etc) and you see the magnitude of the work. To this we can add the second unmentioned but discarded class of land sightings. With apologies to Oscar Wilde, to lose one class of sightings may be regarded as a misfortune; but to lose two looks like carelessness. But we defer to Jeremy as he develops his argument. Having decided the Loch Ness Monster has no long neck, it opened possibilities to our renowned fish catcher. But first, he indulged in a spot of fishing at Loch Ness. Casting his line more in hope than realism, he pulled up a few eels. That surprised me somewhat as I was more expecting char, trout or something else. But a sturdier form of rod would appear later as Jeremy moved on. Seeking a more ancient route, Jeremy looked at the well known but unknown Pictish Elephant of Highland symbol stones (below). What this might represent has always been a matter of debate, but in this program it is linked to the St. Columba story and then to Norse Mythology. Quite how I am not sure, but it provided the stepping stone to the next episode. In episode two, it was off to Iceland as Mr. Wade linked the Loch Ness Monster to Norse monsterology. He surmised something that lurks in the cold depths of the North Atlantic could be a creature known to the Vikings and somehow made its way to Loch Ness. 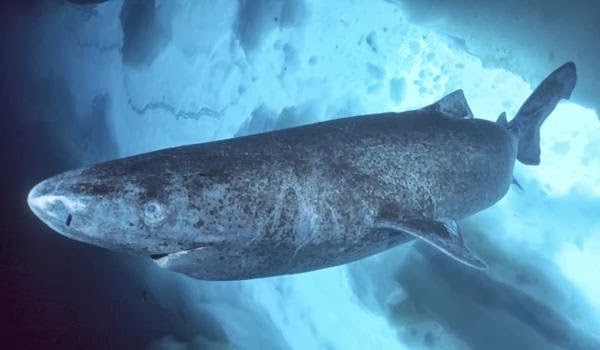 That creature is the Greenland Shark, a twenty foot plus, two thousand pound plus brute that wouldn't think twice about snacking on a polar bear. It is a life largely mysterious to science but it is believed to grow at a slow rate due to the cold and who knows how long it lives for. Armed with sonar and a sturdy 2000 foot line, he attempted to catch one over an indeterminate number of days. The small dorsal fin is seen as an advantage in Loch Ness Monster morphology as it allows a more hump like appearance on the loch surface. However, the picture above suggests a rather flat back on this shark which does not look capable of presenting the classic "upturned boat" presentation. One interesting aspect of this creature as they fished for it was its invisibility to their sonar systems. The Greenland Shark possesses no swim bladder to register on sonar and it was plumbing depths of up to 2000 feet below. That made me contrast and compare it to our sonar shy quarry in Loch Ness. Does Nessie have lungs or a swim bladder? Perhaps not, though those flexible humps may contain gas of some description at various times. Eventually, a smaller 400 pound Greenland Shark was pulled up but was too big to land on the boat. After looking it over, they let it go back. Again, because of its lack of a swim bladder, it was a creature that could be pulled up from the depths without suffering the equivalent of the bends and a ruptured swim bladder. With that the search concluded. A Nessie sized animal from the seas surrounding Scotland had been suggested and in some ways it was not too dissimilar to the Atlantic Sturgeon theory favoured by more sceptical researchers. Apart from issues around long necks, how would such a creature get into Loch Ness? This was not discussed, but I would presume they may favour a smaller, juvenile creature swimming in the River Ness. Only seals (and perhaps porpoises) have been proven for sure to make it into the loch from the sea, but no evidence for sturgeons or sharks is forthcoming. Do I think the Greenland Shark is a credible theory? No, I don't, but in terms of size, weight and cold adaptability, it is perhaps the one animal in the region that comes closest to the large creature that occupies the attention of this blog.